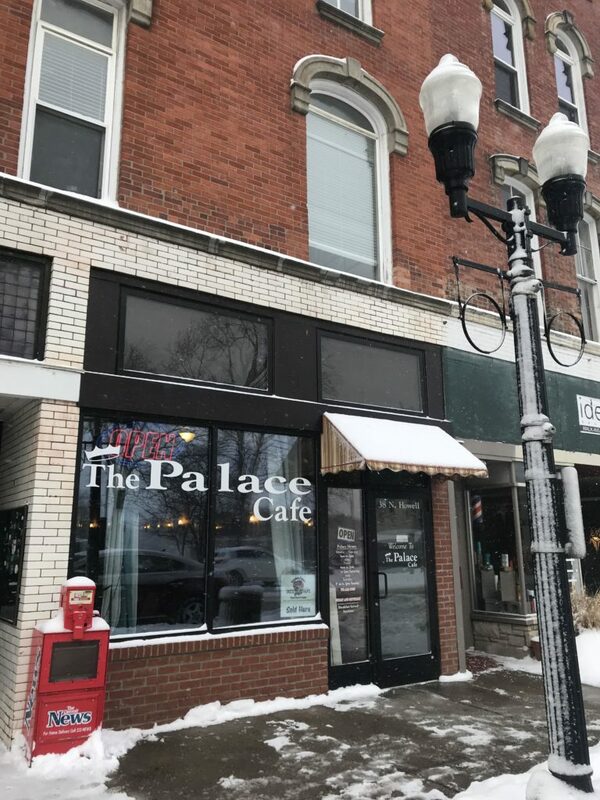 The Palace Cafe is closing its doors indef­i­nitely on Thursday at 2 p.m., according to business owner Leslie Meredith. A Monday-morning Facebook post announcing the closure sparked dis­mayed responses from the landmark diner’s patrons. 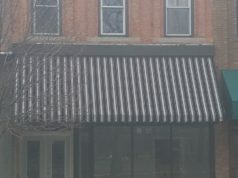 Larry Houck, who owns the cafe’s equipment and its portion of the Howell Street building, said the business is closing and that an inter­ested buyer is in the process of taking out a loan to pur­chase the building and equipment. If the loan goes through, the buyer may open a business much like the current cafe in the coming weeks. Meredith, who bought the business in 2011 after man­aging it for three years, said health problems and family hard­ships have made it dif­ficult for her to keep running the restaurant. And while she’s kept prices the same for five years, wages and food costs have gone up, she said. “It’s time for me to pass it on to someone who really has the energy for it,” Meredith said. The Palace suf­fered a rocky year, losing staff and cutting out a weekend-night shift that was popular for college stu­dents last spring, Meredith said. The cafe cur­rently has seven employees, she said. For Hillsdale res­i­dents, the cafe’s closure is the loss of a landmark. According to the Hillsdale County His­torical Society website, the building that houses The Palace was con­structed in 1863. For a time, it was the Palace of Sweets — adver­tising homemade ice cream and candies in 1917 and “the best toasted sand­wiches” in the 1930s — and then the Palace Cafe, with a brief interlude as The Whistle Stop during the early 2000s. Crystal Elliott, who’s lived in Hillsdale her whole life, said she used to ride her bicycle to meet her mother for lunch at the Palace as a kid some 45 years ago. It was also a hangout for school kids on lunch break, back before meals were con­fined to the cafe­teria. “The Palace has never changed. If you walked in there in the late ’60s and early ’70s, it’s pretty much iden­tical,” Elliott said. She added that she hopes the restaurant doesn’t change if new owners take over. 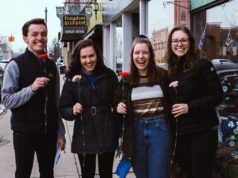 Known for prices as low as its pan­cakes are large, the Palace has also been a staple for Hillsdale College stu­dents for years. 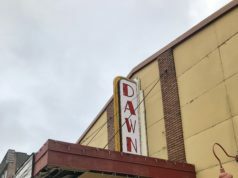 It was a con­sistent favorite for The Collegian’s “Best of Hillsdale” surveys, winning “Best Brunch” in 2018, “Best Breakfast” in 2017, and “Best Diner” in 2016. In 1985, a Col­legian article touted the same low prices and small-town vibe the cafe has today. Over the past few years, Meredith would often serve the Hillsdale College football team breakfast — bringing them in shifts to the tiny restaurant — on home-game days with a late kickoff, said Head Football Coach Keith Otterbein. Senior Carrie Olson said she once brought a group of high school girls she mentors to The Palace for dinner. When she went up to pay, one of the employees had paid for them. The classic diner days may not be over. Both Houck and Meredith said they think the current potential buyer might keep it much the same. Though she’s ready to move on, Meredith said she’s pleased with the time she’s had running the business. Derek Haddix, who’s cooked and served at The Palace for two years, said he’ll miss Meredith’s man­agement.